PRIDE NIGHT @ TB Lightning! Celebrating the diversity in Pasco County and immediate surrounding areas. Pride is much more than a yearly festival or parade. It's about community, the entire community. We are doing events all year long. Some are fundraisers to support our yearly Pride Festival, held in Sims Park, New Port Richey, on the first Saturday of October. 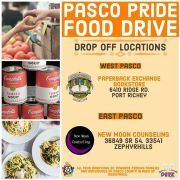 We are very visible all over Pasco County and get engaged with helping address the needs of our Community with food drives, clothing drives, engaging and helping the youth, the homeless and whoever else we can. Text PASCOPRIDE to 31996 to get on our email blasting (without blasting your phone), see our website at pascoprideproud.org. You can follow us on facebook, instagram & twitter. 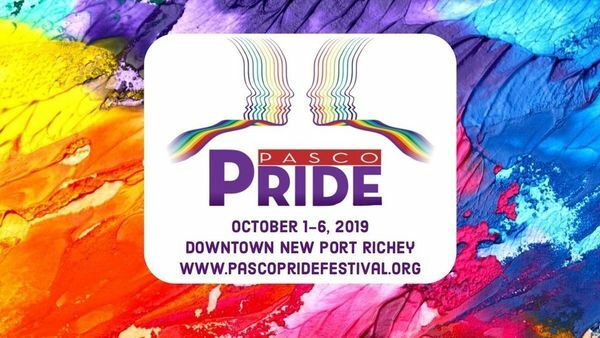 Drop us an email at pascopride2018@gmail.com. Get involved with the Community who is involved with the Community.